A good quality mower that can not only cut and catch, but also mulch. 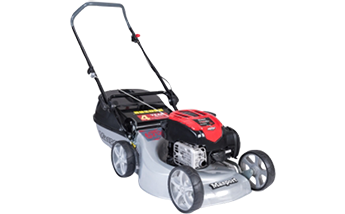 By fitting the mulch plug this mower can be quickly converted to a mulching mower. Powered by Briggs & Stratton 163cc OHV Series 725exI ReadyStartTM engine- no priming required & easy starting. 485mm (19") Crossfire Steel Chassis, steel chassis. Features Camlocks for quick release handle fold down.